On the second page of today's Vancouver Province there was a full page ad from the Communist Government of China trying to sell us a bad deal. They were pushing this insane trade agreement that has nothing to do with free trade and everything to do with giving up sovereignty and they were rationalizing their generations of gross human rights abuses by saying we have to understand China. "To understand China, one need understand the Chinese path of human rights development suitable to China's national circumstance." Unfortunately we do understand how extreme Communist China's human rights violations are. They execute political prisoners to order to make money in the organ harvesting industry. If we want to understand Communist China's history of human rights abuses, we need to speak with the Chinese Canadians who know. All we have to do is turn to the Epoch Times. On the front page of the current edition of Vancouver's Epoch times is a headline which reads: After Decades of Courtship by the West, China’s Communist Party Only More Vile. We can also just ask Tibet or the Dalai Lama himself. Ask Tibet about human rights abuses from Communist China. 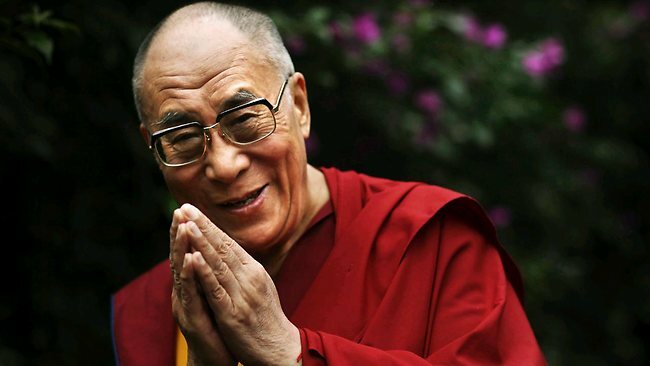 The Daily Mail is reporting that "The Dalai Lama has created an iPhone app to help his devotees keep track of his teachings - but it has been blocked on Apple's China store." Canada already does business with China. Canada already imports vast amounts of products made in China by the container full. I have no problem with that. If Canada and China want to eliminate duty and tariffs on imported goods, I have no problem with that. What I do have a problem with is giving up Canadian sovereignty and handing it over to Communist corporations. That is bad business. That is what I have a problem with. Chinatown is the heartbeat of Vancouver. China does have a magnificent culture and history that predattes the atrocities committed since the Communist revolution by 5,0000 years. I have no problem with selling China oil. I have a problem with giving a Communist dictatorship our oil rights so that they profit from Canada's natural resources instead of Canada. That is why it is time to Nationalize our oil. So that Canada profits from it's natural resources not a foreign dictatorship. BC and Alberta could do this right now Provincially under their respective NDP Governments just like Norway has. We can keep all the private oil producing companies in Canada. We just need to take back the foreign ownership of the oil rights so that the profits from BC and Alberta's oil goes to the provincial tax revenue instead of foreign ownership. On a lighter note, the Canadian Edition of the Epoch Times is reporting that Shenyang Pharmaceutical University in northeastern China "issued an online statement, forbidding student unions, clubs, and youth league branches from organizing any activities based on Western religious holidays, such as Christmas, according to a Dec. 14 report by China’s nationalistic, state-run newspaper Global Times. The ban would help the younger generation build cultural confidence, since recently, some have been blindly excited about western holidays." I never did quite understand that. How a Communist dictatorship that bans religion says it's fine for their people to make Christmas nativity sets to be sold in the West. It's all so conflicted. The persecution of the Falun Gong in China is however, nothing to joke about. 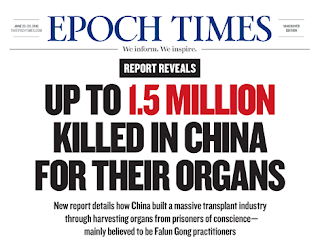 Miss Canada was banned from competing in the Miss Universe pageant held in China because she spoke out about China's organ harvesting and their persecution of the Falun Gong. As we speak, a Canadian who visited China is still in prison simply for being a Buddhist. There can be no mutual trust until these atrocities are dealt with. Free Tibet. Saw the half page ad and don't believe a word of it. Saw a documentary on t.v. last week the subject of which was the organ trade. It covered such things as the doctors who are forced to perform the operations and the impact on them. Some actually run away, they can't deal with it. 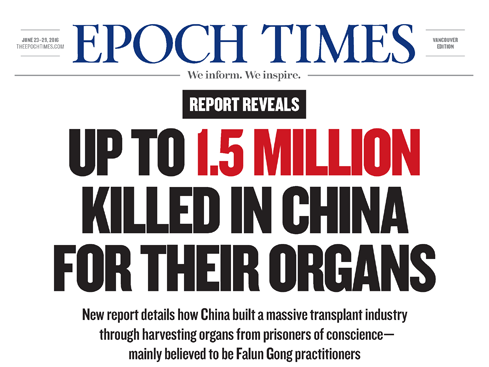 As long as China is in the organ trade we ought not to have a free trade deal with them. They are so big, we will get crushed by them. We used to see cartoons of an elephant, the U.S.A. rolling over on the mouse, Canada. Compared to China, the U.S.A is the mouse and we are the tiny little atom. Completely agree on all points. The Dalai Lama rocks.